Las Vegas is a city of thrill and excitement, as well as a city of big money. 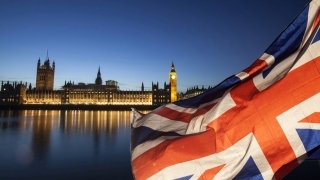 This is a very popular place among the fans of casino, as well as ordinary tourists. However, many people visit Las Vegas for business purposes. If you are one of them, and want to not just look at Las Vegas, but also to be imbued with its mood and feel like a king there, then you need a car that will emphasize your high status. 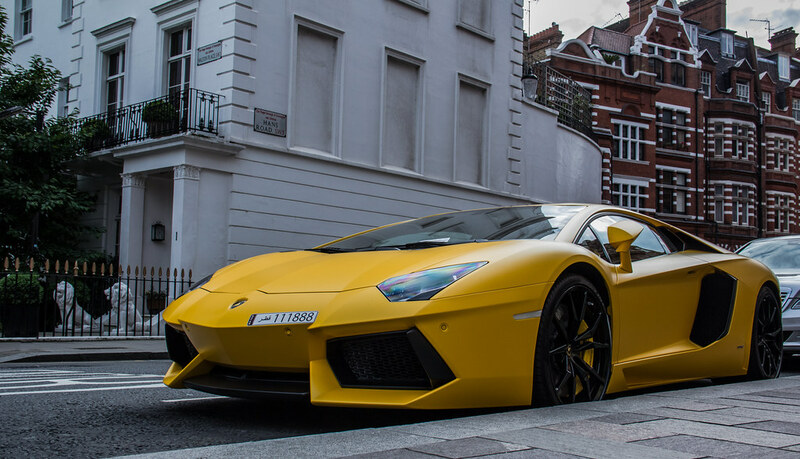 We have prepared the list of the most exclusive cars available through Las Vegas car rental in airport. Each of them is the embodiment of beauty, power and design, and will allow you to always be on top when traveling to Las Vegas! 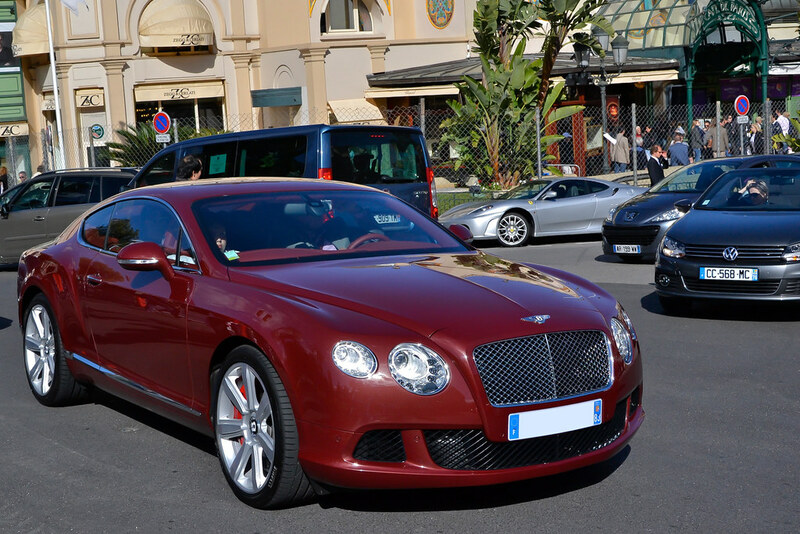 Bentley Motors is widely known for its exotic cars all over the world since it began producing luxury models. This car is a favorite vehicle not only of James Bond, but also of other celebrities who prefer Bentley. The legendary Jay-Z and the star of American basketball Kobe Bryant are among them. Thanks to the attention of the British brand to elegance in every detail, Bentley has produced many excellent cars. Continental GT is an excellent model which accelerates from 0 to 100km/h in 4 seconds thanks to the 6.0 liter 12-cylinder engine of 616 hps. MP4-12C from McLaren is what you need to be stylish in Las Vegas. The car has the same formula – design inspiration plus the innovative technologies. It allowed the company to distribute thousands of cars around the world. When the model was developed, the British engineers said they created one of the best sports cars, and it seems to be true. This McLaren can reach a top speed of more than 320 km/h thanks to its fully monolithic car body and the V8 M838T twin-turbo engine specially designed for this high-speed model. Ferrari 458 Italia is a real work of art, which is unique, exquisite and ideally designed. This exotic beauty hides within itself a 4.5-liter V8 engine, producing as much as 570 hps of power and 9000 Nm of torque. 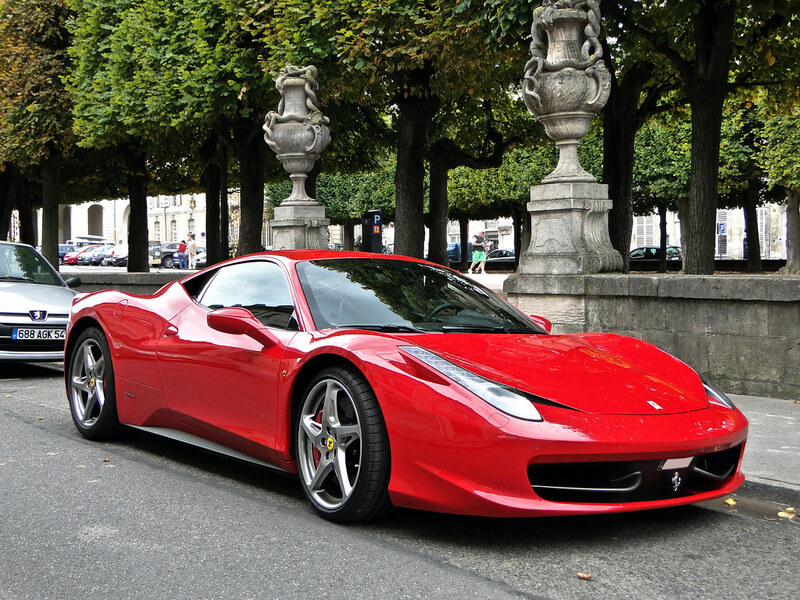 458 Italia is full of modern electronics, which makes the car much smarter and faster than older Ferrari models. This ‘wild’ vehicle can reach the speed of 100km/h just in 3.4 seconds – quite impressive value even for Las Vegas. 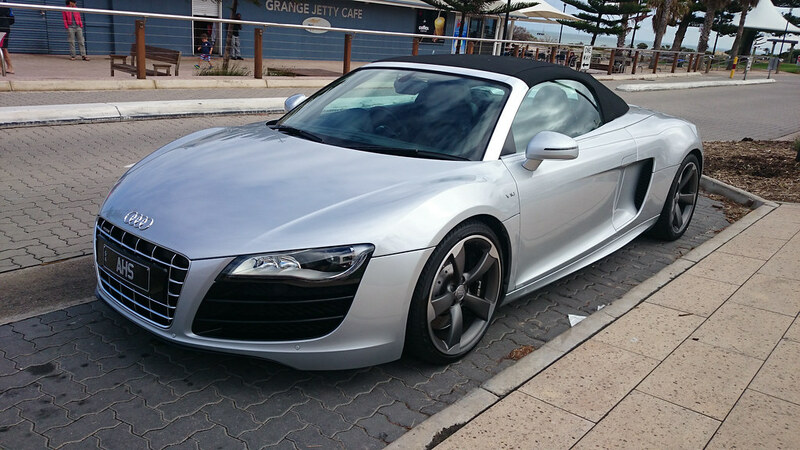 Audi is one of the best automakers in the world, and when it comes to exotic cars, you should necessarily pay attention to its unique product – aerodynamical Audi R8 Spyder. This is an incredibly powerful vehicle with a 5.2-liter V10, featuring 525 hps at 8000 rpm. Many parts of the Spyder are made of light aluminum, because of which the car runs faster, accelerating to 100km/h in 4 seconds. The legendary Viper has returned from non-existence, and now it’s much better than ever. Unfortunately, this is no longer Dodge. 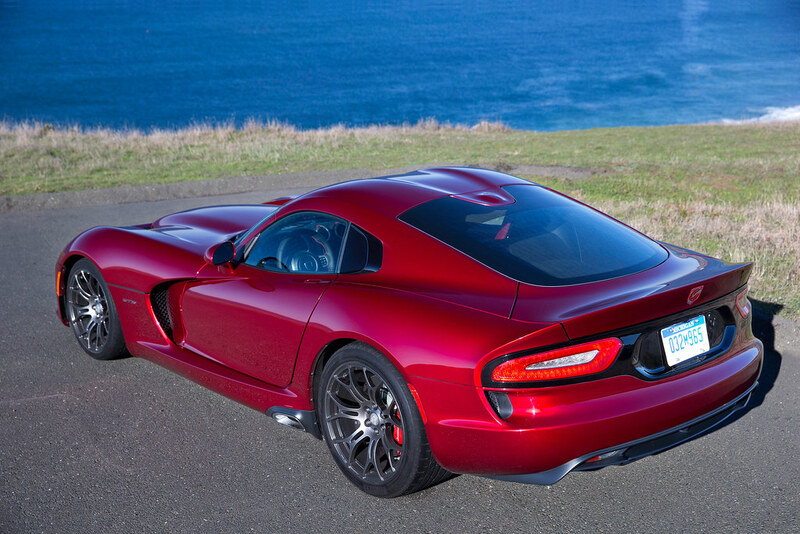 Viper was sold under the new SRT brand, which was formed after Fiat auto group reorganized Chrysler Corporation. The good news is that the perfect appearance of the car remained recognizable even under a new name. This ‘monster’ has an 8.4-liter V10 power unit under the hood, which can boast of 640 hps of power and 813 Nm of torque. The car received excellent driving dynamics, the most modern technologies and a stylish high-end interior. In order to accelerate the car to 100 km/h in less than 3.5 seconds and reach the top speed of 331 km/h, you should be a very experienced driver. Lamborghini never retreated from extravagant decisions – neither in the configuration of its cars with internal combustion engines, nor in the design, and even in the interior finishing of the car. Lamborghini Aventador LP 700-4 has a very precise processing of details, a sharp aggressive design, and a powerful 6.5-liter V12 engine with 700 hps plus 690 Nm of torque under the hood. Such a car is only available to true connoisseurs of automotive art, who want to experience quality exotics from Lamborghini. 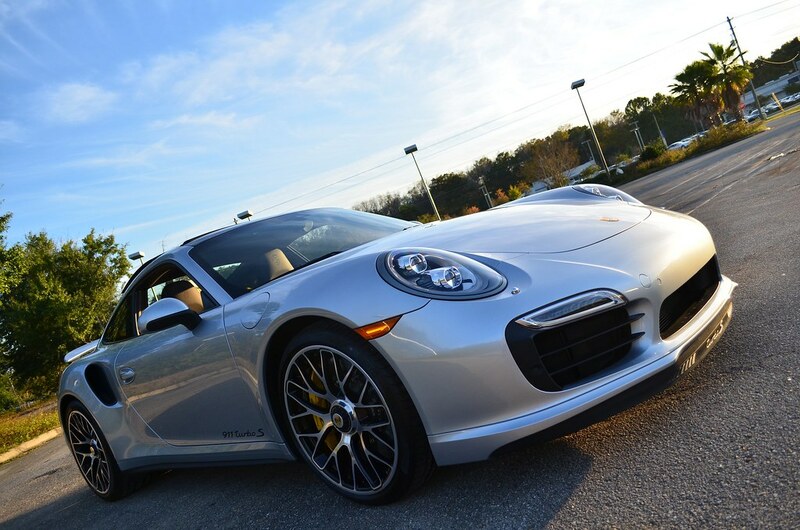 Porsche 911 Turbo S is an absolutely fantastic car. The automaker has always been among the world’s leading brands in terms of quality due to its continued commitment to high-performance technologies. Even in the basic configuration, Porsche 911 Turbo S can accelerate from 0 to 100 km/h in 3.1 seconds thanks to a 3.8-liter turbocharged engine that has 530 hps. Unfortunately, there is not enough space in Las Vegas to show everything that this amazing sports car is capable of. 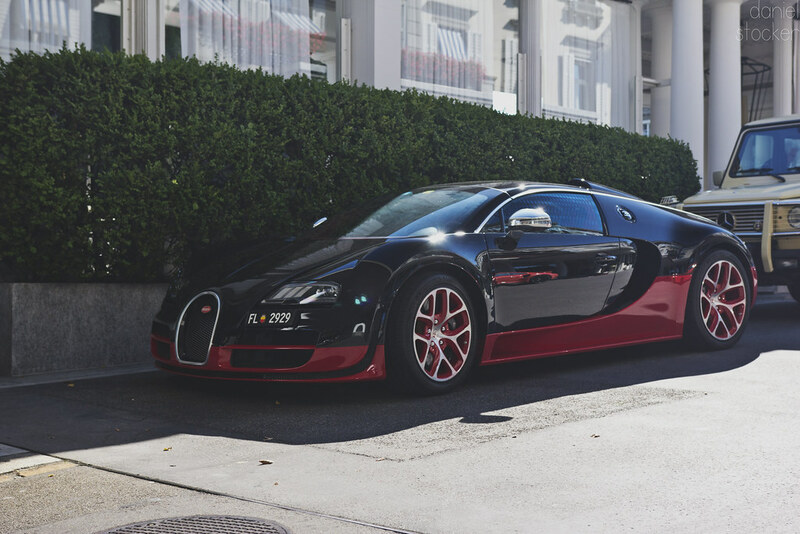 Being one of the most expensive cars, Bugatti Veyron Grand Sport is also one of the most exotic cars on the planet. It can fully take you to the world of unreal speed and sensations. It allows you to reach the speed of over 400 km/h, but thanks to the unique hydraulic spoiler that appears at a certain speed you can stay on the ground. Veyron Grand Sport has the power of 1001 hps provided by an 8-liter W16 engine, as well as tinted windows, convertible top and spectacular exotic design. 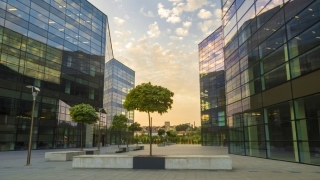 What else do you need to impress everyone and show your great business potential in Las Vegas?